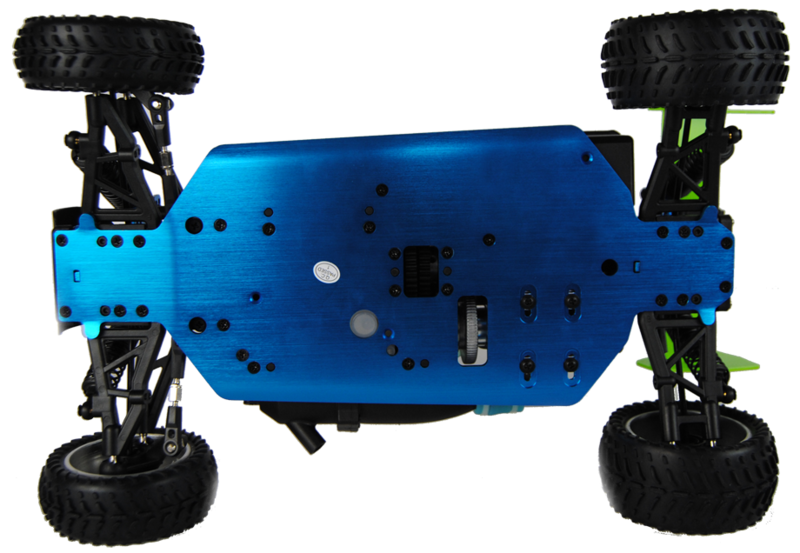 This is the great looking and performing nitro buggy. The buggy is extra tough and performs well both on road and off. The buggy is feature packed making it one of the top spec buggies on the market and the .18 engine along with the automatic 2 speed gearbox makes it extremely quick. There is also a PRO version that has most of the aluminium upgrades pre-installed. With this product, you earn 148 loyalty point(s). 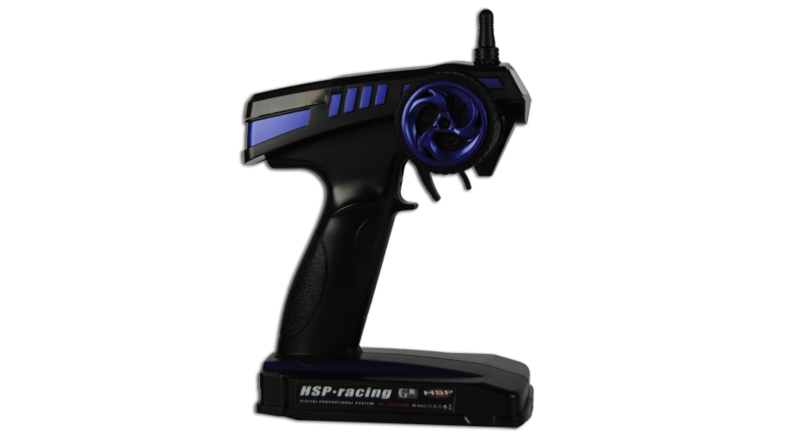 This is the great looking and even better performing HSP nitro radio controlled buggy. The buggy is extra tough and a good all rounder performing well both on road and off. 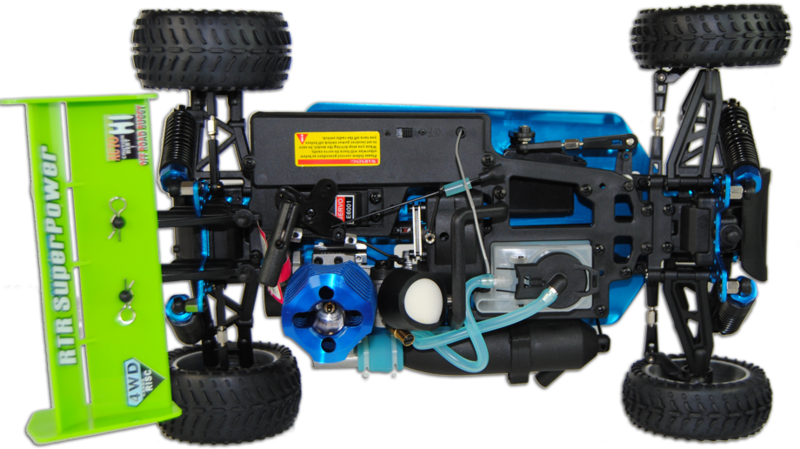 The Backwash is feature packed making it one of the top spec buggies on the market and the .18 engine along with the automatic 2 speed gearbox makes it extremely quick. 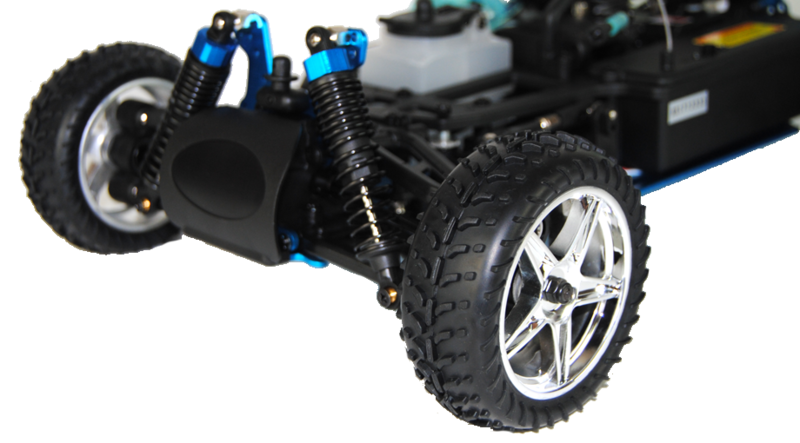 Please note there are two other cheaper versions of the HSP nitro buggy but this is the top of the range one that has the two speed gearbox and also the pivot ball suspension. 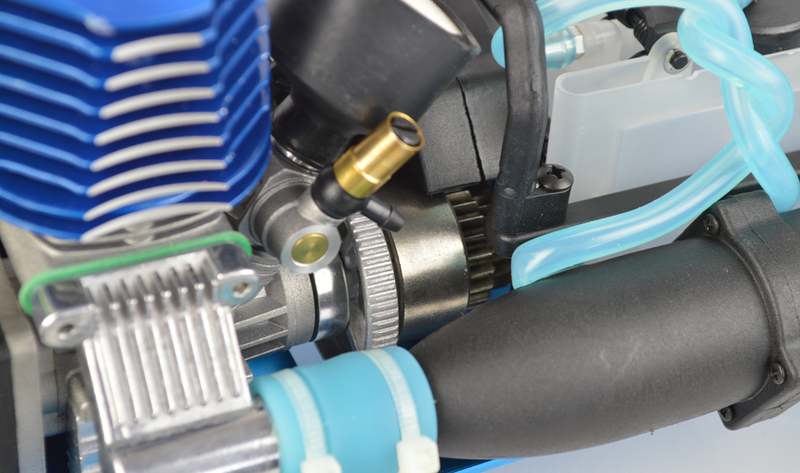 These also have our Nitrotek upgrades on them such as the chrome finished wheels, SH engine, waterproof electronics and wheel type transmitter. 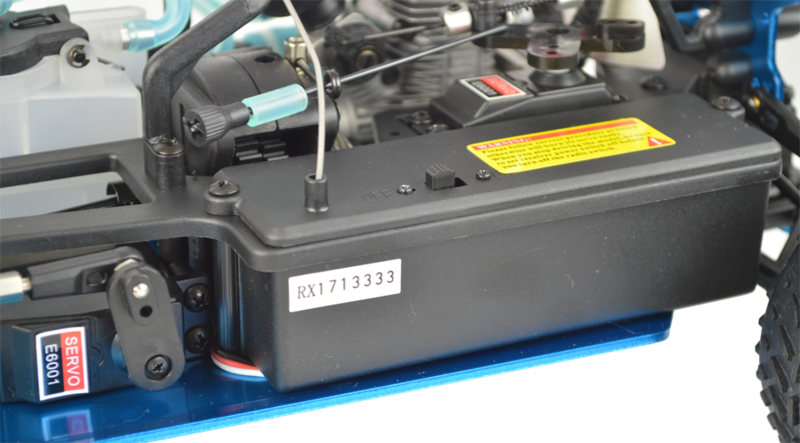 The Backwash comes fully built with everything included apart from fuel, glow start (both optional extras on this page above) and 12 normal AA batteries. 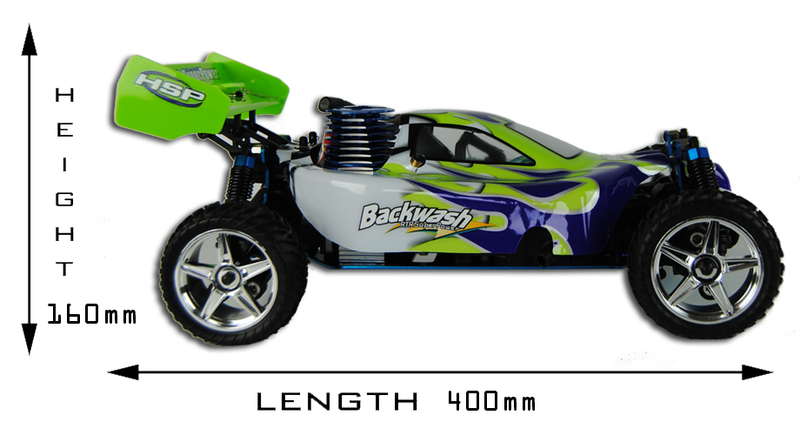 The car measures 400mm x 160mm x 250mm (length, height, width). whats the top speed? whats the fastest and cheapest car you guys carry? How many needles does this car's carb have? Please email our support team and they will be happy to provide you with a digital copy. The fuel required Zzip 15% Nitro Fuel. Please see the below link. 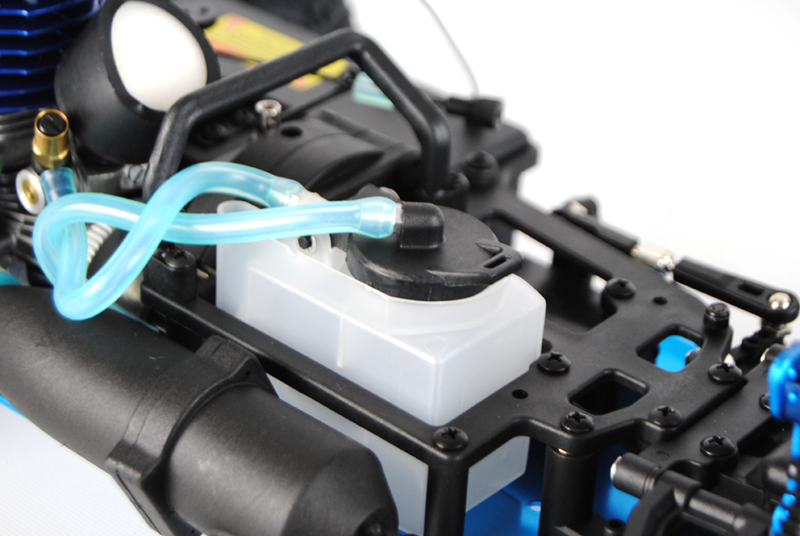 The recommended fuel for this model is 15% Zzip Nitro fuel. 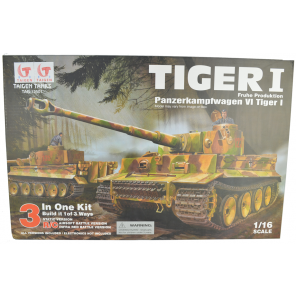 Does this rc come with starter kit or it needs to be purchased separately ? Or does it come with the brake in tool at least ? Hi, Does this buggy come fully built or is there a lot of assembly required? Amazingly fun and when u hear that gear change it sound like a flipping formula racing car on gear change - it soon gets noticed and people soon look ! Any way loved it! 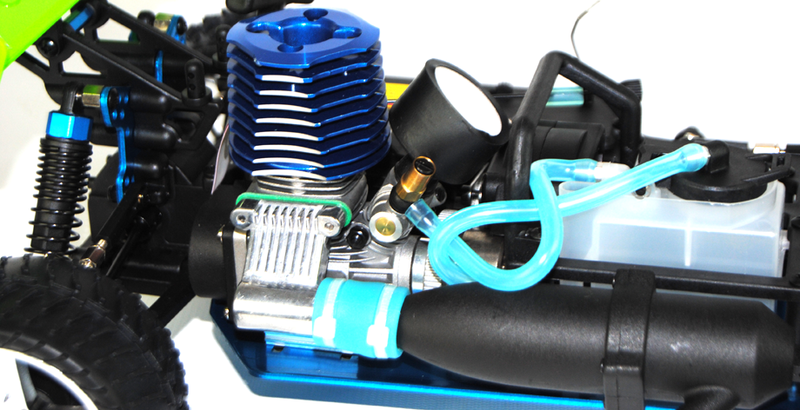 this is my first nitro car i love it it is very powerful and goes like a rocket it my first nitro car and i have worked out how to use it after a little bit of tuning i would recomend nitro tek and this car too any one thanks nitro tek for all your help >!! and great service ! !